A view from West Cliff Drive in Santa Cruz. 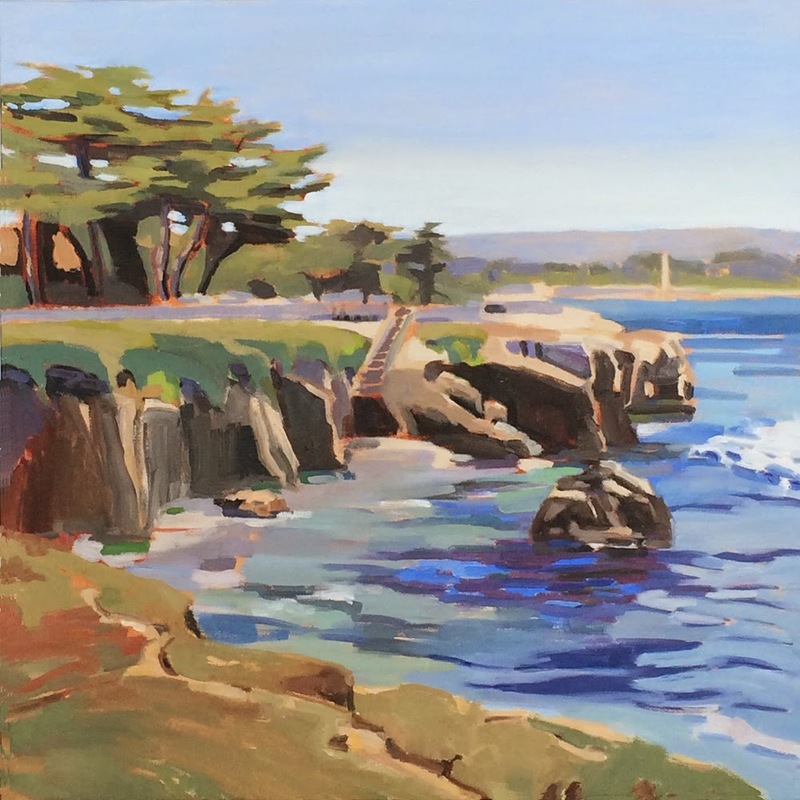 Near the center of the painting are steps down to the beach to an area surfers call Steamer Lane. The Beach Boardwalk is in the distance. 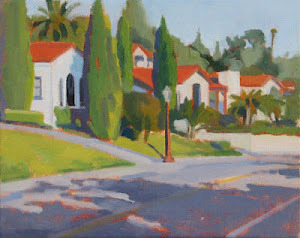 I'm very excited to have a new gallery, Elliott Fouts Gallery in Sacramento! Stop by the beautiful gallery space to see 11 of my paintings.